Peter Bryer: Mobile Foresight: Haptics: touch... with feelings. Is this the next WOW opportunity? Haptics: touch... with feelings. Is this the next WOW opportunity? Anybody in the handset biz who really cared about technology developments and who knew how to click on a YouTube link should have expected the potential impact of multi-touch. 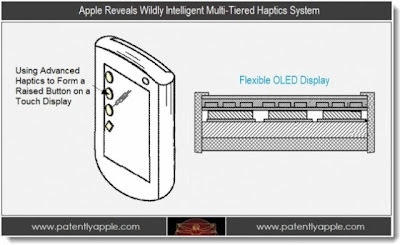 Well before Apple announced the first iPhone, Jeff Han, who was a research scientist at New York University's Courant Institute of Mathematical Sciences, wrote of and showed demonstrations of multi-touch interfaces. To make matters more painful for some current handset vendors other than Apple, some of that work was partially funded by some leading software and handset vendors of the day. Here's the rule guys: you snooze, you lose. Now a new level of touch input could be fast approaching. Literally a new level. Haptics. I first started hearing about haptics back in 2005. Haptics had the potential to add feeling to touch screens. Some great use cases were floating around, like read keyboards popping up out of touch screens, or joysticks that could change. Buttons could raise and recede as needed. The touch world meets the click world. 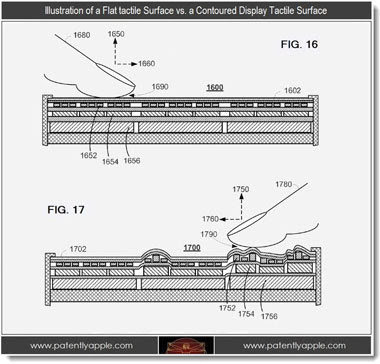 There are lots of rumors (and backed by solid evidence such as patent applications) that Apple will be implementing haptics in a future generation of iOS devices. Multi-touch was the WOW in iPhone 1.0. To the untrained eye, it did look like nothing before it. Apple touched the audience like nobody before it. And the competition could only stare at the the on-coming headlights. There hasn't been much WOW in the market since then in my opinion. Will haptics be the next great thing to stand out? Perhaps. And then get ready for the shouda, coulda, woulda's. Will haptics raise the bar?